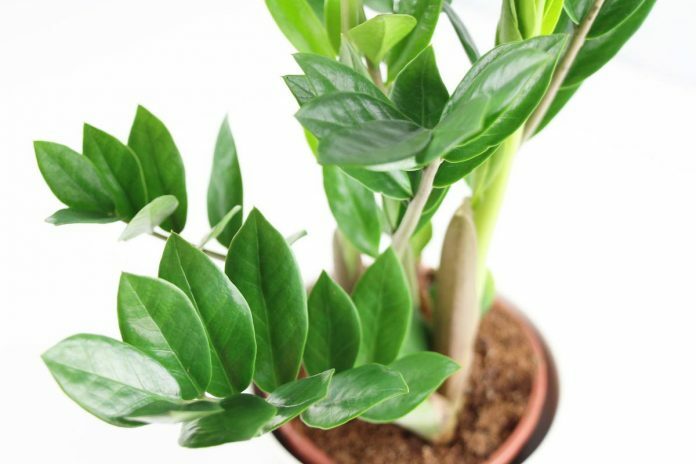 One of the most easy to cultivate plants is the air purifying ZZ plant (Zamioculcas zamiifolia). 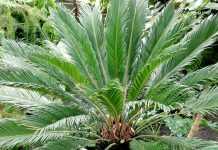 It impresses with decorative feathery leaves, an exotic flair and, above all, with its modest requirements regarding the watering, fertilizing and wintering. It forgives most of the care mistakes and is almost resistant to illnesses. The minimal requirements that it poses can be read in these step-by-step instructions. 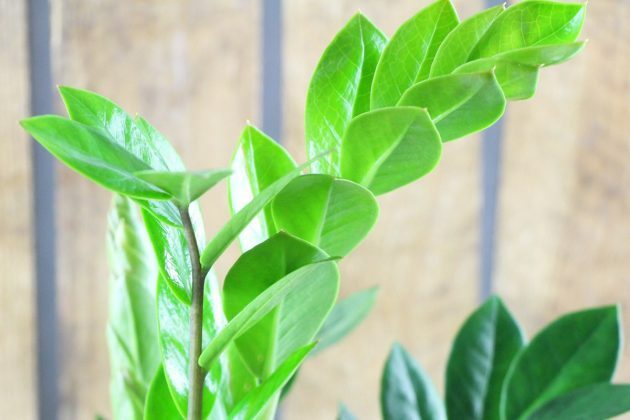 The Zanzibar Gem (Zamioculcas zamiifolia), which is predominantly known as “ZZ plant”, is perfect for plant lovers who do not have a “green thumb” and always have bad luck with plants, or for flower lovers who do not want to spend much time on the care. 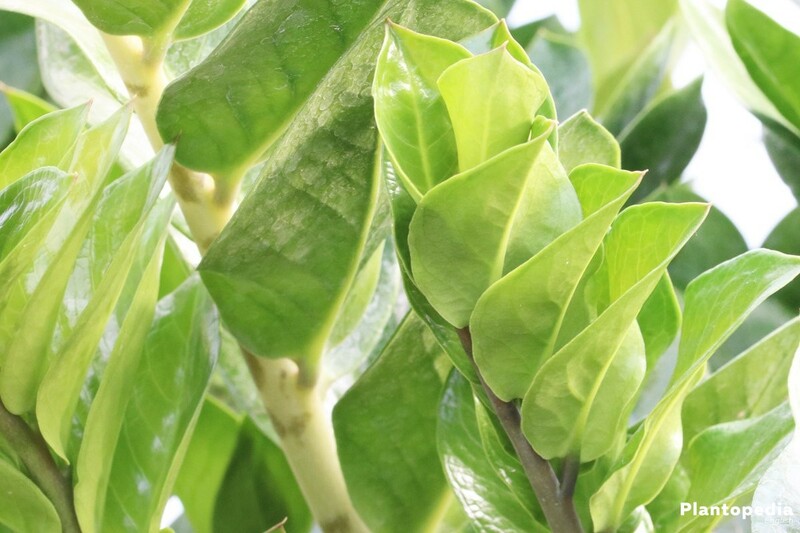 The decorative Zamioculcas zamiifolia does not need much attention and only a low maintenance effort. Due to its rich leaf green, it fills colourless places with a special colour freshness and can easily be multiplied. Everything you need to know about this can be found in the expert care guide. The Zamioculcas zamiifolia is indispensable, robust and forgiving many maintenance errors. 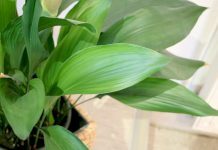 However, if long-lasting, serious mistakes are made in the maintenance it can limit the life of this green plant. 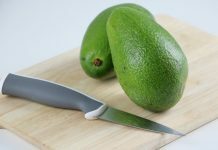 To prevent this, you should consider some of the care details that are covered in this care guide, including multiplication and pest control. Hardly any plant feels as good in different light conditions as the ZZ plant does. Whether in a sunny spot, in a semi-shade or in a shady place, the Zanzibar Gem grows everywhere in an equally lush and healthy manner. However, it does not like the harsh midday sunshine. On the other hand, it loves the morning and evening sunshine. Keep in mind that bright and warm locations are the best for growth, while darker places favor a deeper green of the leaves. In addition, there should be temperatures of at least 16 degrees Celsius. 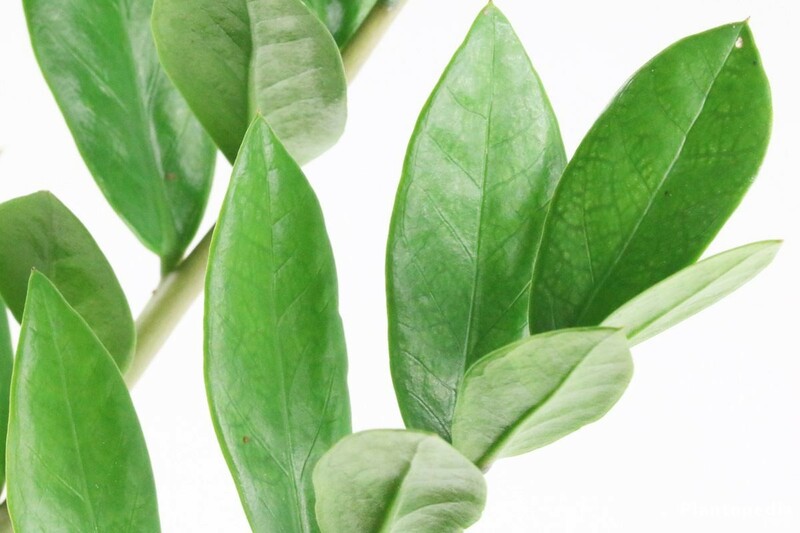 In winter, the plant appreciates a higher humidity, which can also prevent pest infestation. 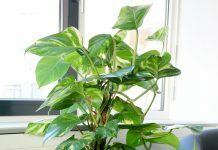 As a room plant it feels just as well as in the garden bed or in a bucket on the balcony. The soil forms the basis for the supply of the ZZ plant. Although the Zamioculcas zamiifolia is tolerant to various cultivation conditions, you should still use a high-quality substrate, as traditional flowering soil tends to mould formation and will often sag and expose the roots. As a result, the soil can no longer be kept evenly moist. Compost-based products are suitable as an optimal substrate. In addition, a certain amount of sand or clay should be included as these will improve the permeability and the prevention of waterlogging. Clay granules are an alternative to sand as well as clay and will also store moisture. 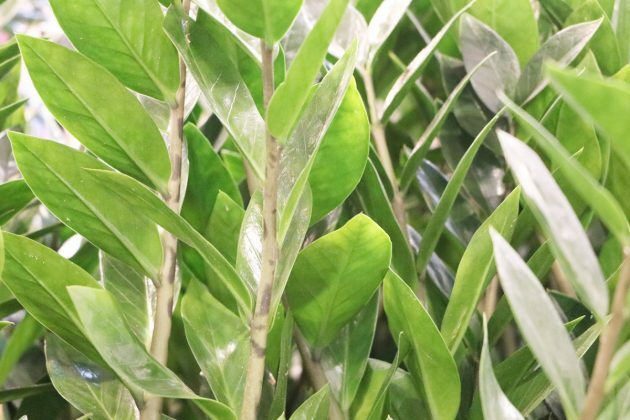 In the open the ZZ plant (Zamioculcas zamiifolia) can be planted only when the night temperatures are constant 16 degrees Celsius or more. This is usually the case at the beginning of summer. 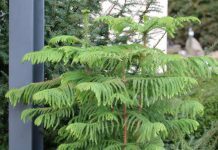 Repotting is advisable only after the end of the winter rest period and after the first shoot-up in March or April. 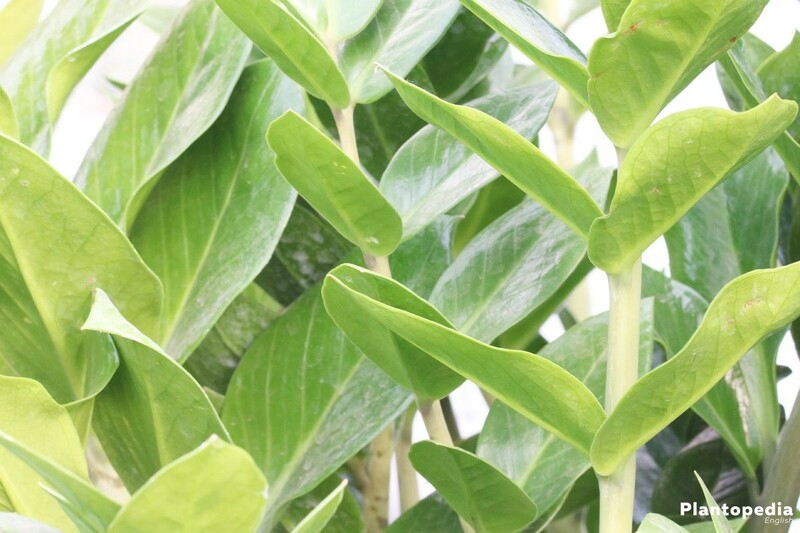 If the outside temperatures are above 16 degrees Celsius, the Zamioculcas zamiifolia is happy about fresh air on the balcony, the terrace, but especially in the garden bed. 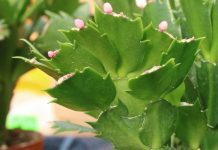 The planting in a pot or bucket, as well as repotting, works similarly as the planting into a bed. Here, you should only ensure that you maintain a distance of about two centimeters between the soil surface and the edge of the pot to prevent the mud from overflowing after watering. 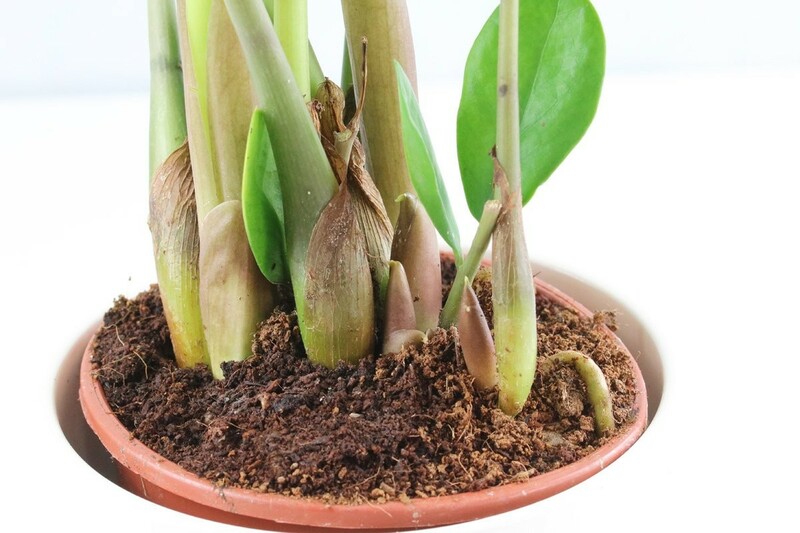 A repotting of adult plants should be done every two to three years and at the latest when the roots are exposed. For fast growing young plants, an annual repotting is recommended in the first two to three years. When choosing a pot, make sure that it has a drain hole in the ground. Here, excess water can drain and thus it won’t accumulate inside the pot, where it may cause waterlogging. It is advisable to use a saucer. About 15 minutes after watering, remaining water on the saucer should be poured out. The ZZ plant, Zamioculcas zamiifolia has a modest water requirement. Basically, it is better kept a little dry than too moist. This is due to the fact that the rhizomes store water and use it when no moisture can be drawn from the soil. So, if you forget to pour the plant once, it will have no effect. Even if yellow leaves are already forming, continue pouring as usual and the ZZ plant will recover quickly. When shoots form, some fertilizer should give the ZZ plant more power due to a nutrient and mineral supply. 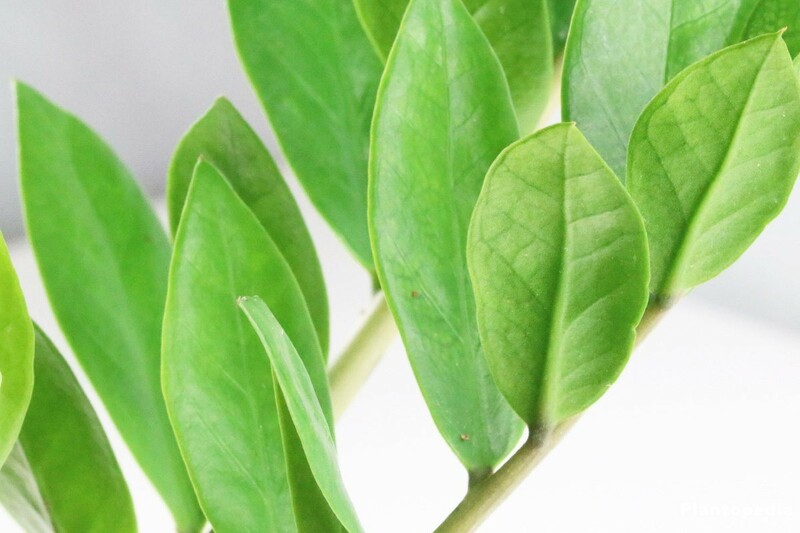 The ZZ plant’s ease of care is also evident in terms of cutting, as this is not even necessary. If the plant becomes too big, you can accomplish a growth stop by dividing the roots. How you should do this is thoroughly described in the “Multiplication” section. If a leaf is faded, it usually falls off itself or you can snap it off. Cutting is not necessary. 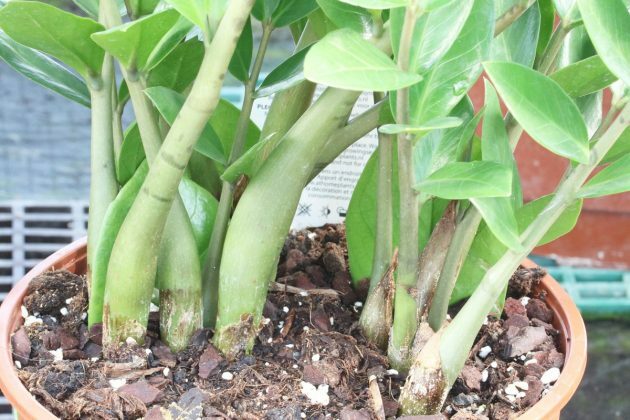 The Zamioculcas zamiifolia is not winterhardy and needs a winter break from November to March. 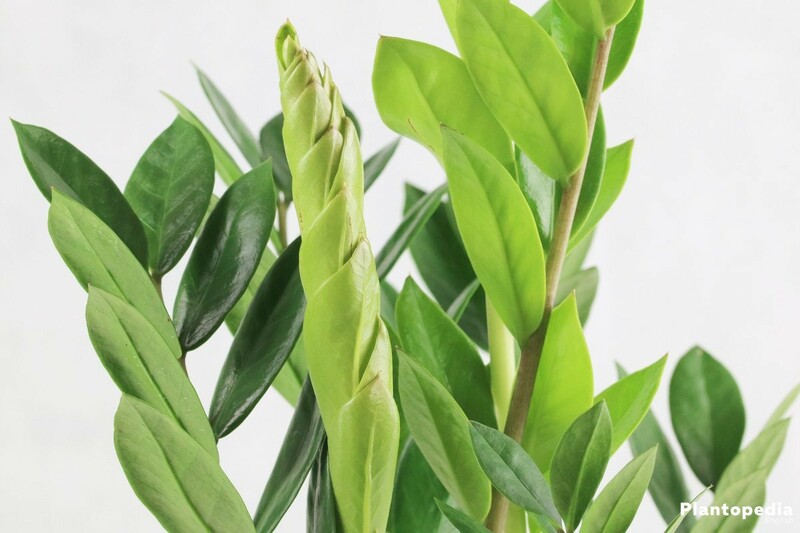 To make sure it can flourish again next spring, the Zamioculcas zamiifolia, ZZ plant should not be in a place colder than 16 degrees Celsius and if necessary, it must be brought from the outdoors to the calm. The water requirement is much lower during the winter rest, which is why it must only be poured occasionally. But make sure that the root ball does not dry out. Dry heating air favors parasite infestation. Therefore, it is recommended that the plant is regularly inspected for pests during the resting period. Do not use fertilizer until the end of the winter rest period in March and then adjust the amount of water once again to the increased water requirement. 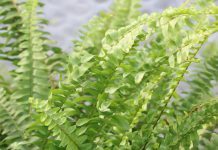 Due to its ease of care as well as its air-cleaning properties, it is not surprising that people usually want to cultivate several specimens. Multiplication is possible in three different ways. The perfect time for a multiplication by division is when you repot the plant. 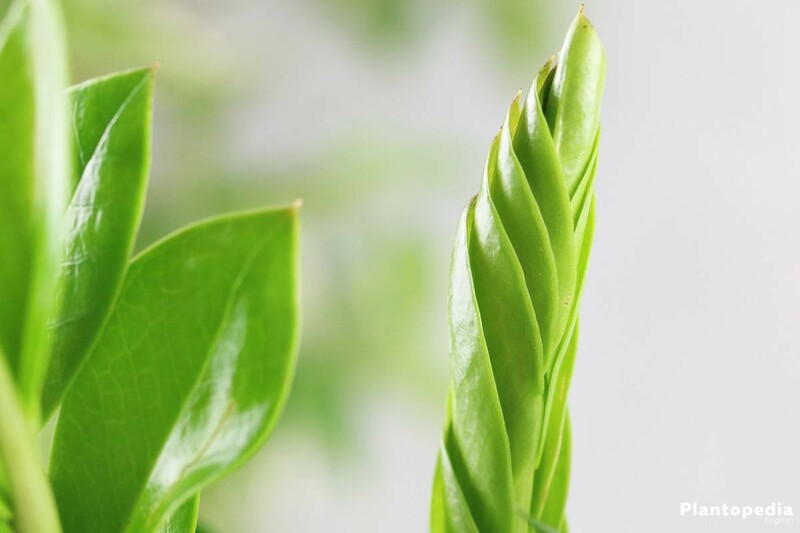 The multiplication by leaf cuttings is just as simple as the division, but you must be a little more patient. 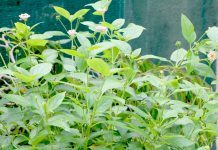 Through the open leaf tissue, small tubers are formed within a few months, from which roots grow after three to four weeks. 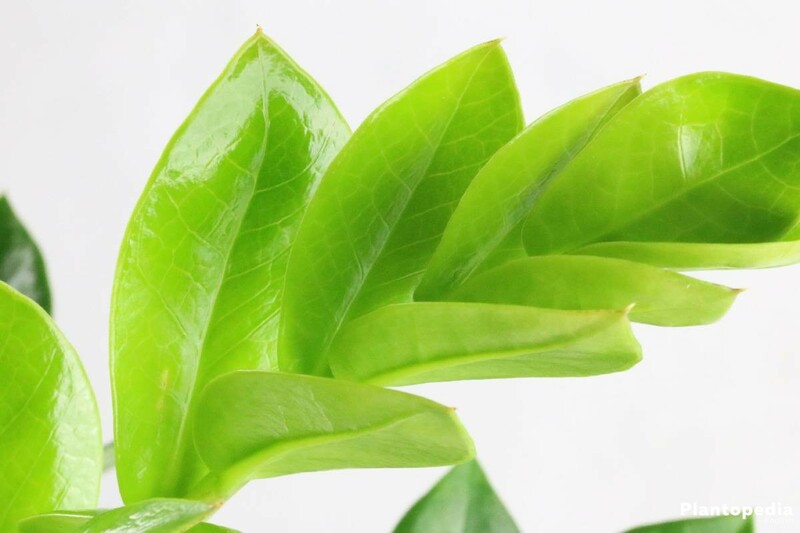 Usually several new plants emerge, which you have to separate from the mother’s leaf when they have reached a size of two or three centimeters; then you can plant them individually in normal substrate. From here, the care works in the same way as for adult ZZ plants. The multiplication by cuttings is done in a similar way as with the leaf cuttings. Another variant is the multiplication by side shoots or sprouts. 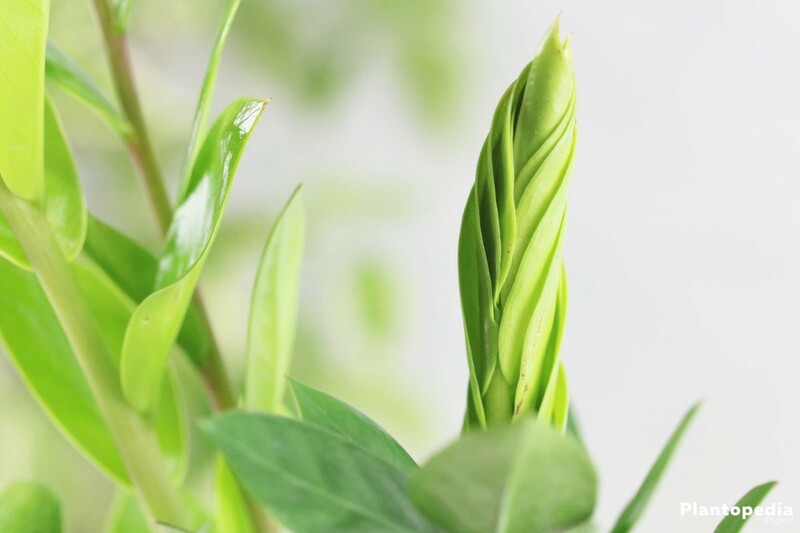 These are mainly found in older plants in which side shoots are formed from the rhizome. These can be recognized by their appearance, which is similar to that of the mother plant, but much smaller. 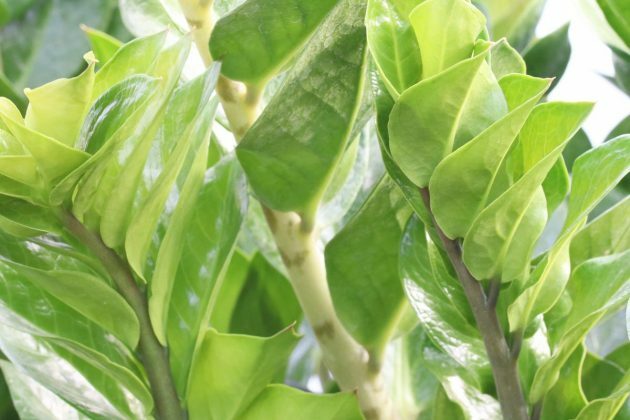 The Zamioculcas zamiifolia is usually only affected by diseases that occur due to inadequate or wrong care. 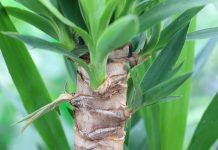 If the leaves turn yellow, the stalks lean downwards, and an unpleasant odor rises from the soil, the cause is usually a root rot. This occurs when the plant is kept permanently wet or waterlogging has formed. You can easily provide a remedy if you recognize the root rot at an early stage. 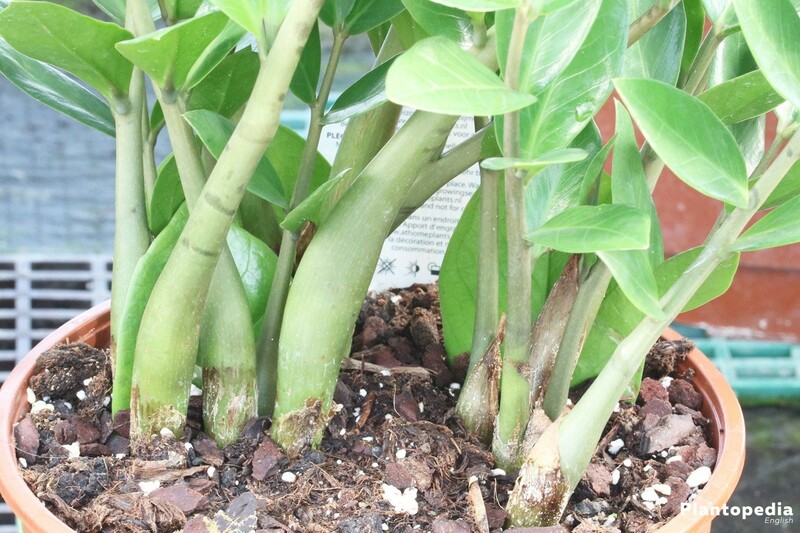 Lift the ZZ plant from the ground and free the roots from soil. Where the mould has already formed, you must cut off the entire root part down to the base. 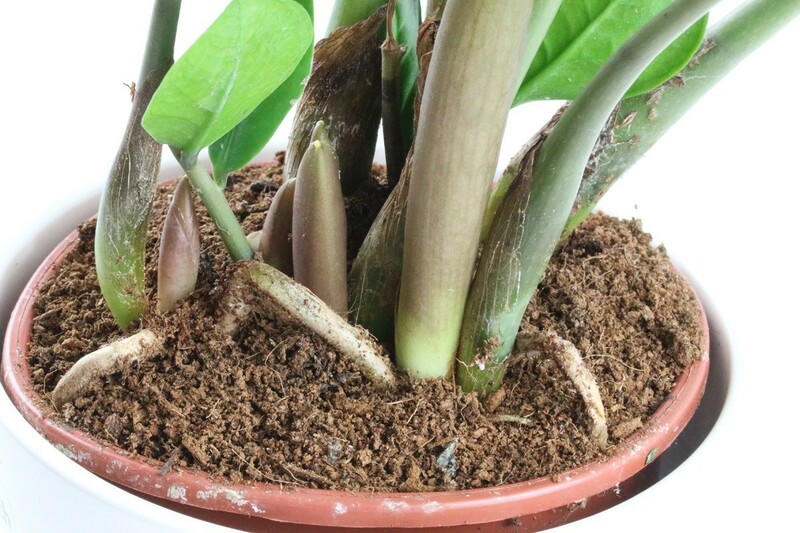 Roots, which are strongly soaked, should be shortened about one third and afterwards you should allow the root ball to dry out for about 24 hours at room temperature. 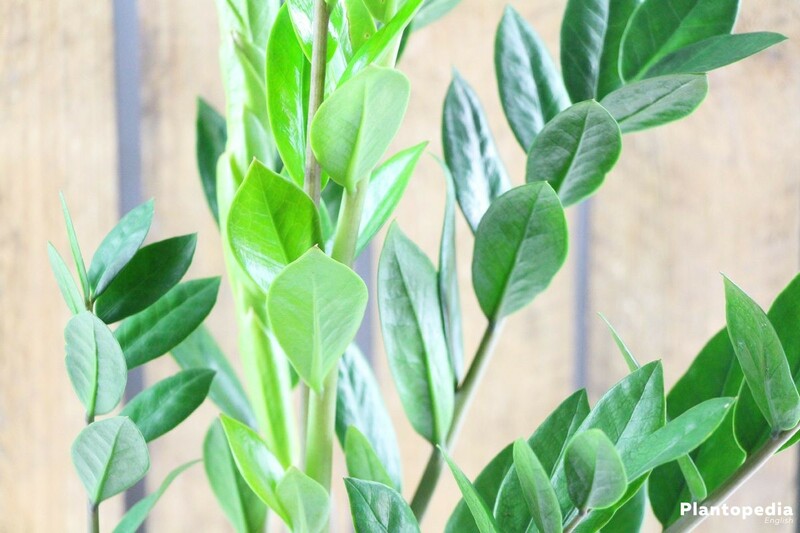 Replace the soaked, old soil with fresh, dry soil and put the dried ZZ plant back in. Keep the soil only slightly but evenly damp for the first two to three days. Then you can proceed with the usual maintenance, but keep the soil much drier. Fertilizing is not necessary in the first four to six months. 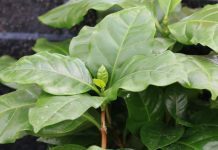 As resistant as the ZZ plant may be to diseases, it is, however, only limitedly protected against pests. 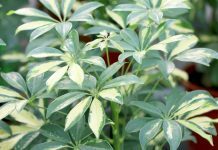 Although many parasites show no interest in the poisonous plant, there is one pest that does not spare the ZZ plant. 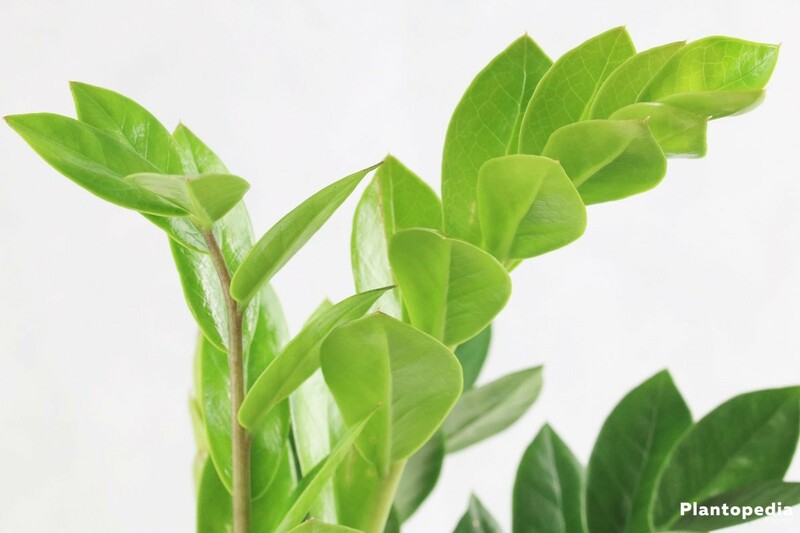 On the Zamioculcas zamiifolia, the spider mite occurs predominantly in the winter months when heating air ensures a dry room climate. When white spider-net-like structures form below the leaves, this suggests a spider mite infestation. Now you have to react quickly and immediately take the ZZ plant away from other plants. There are numerous insecticides available as control agents against spider mites – for spraying, casting or as ground sticks. However, there is an old home remedy, which is equally effective but less detrimental. 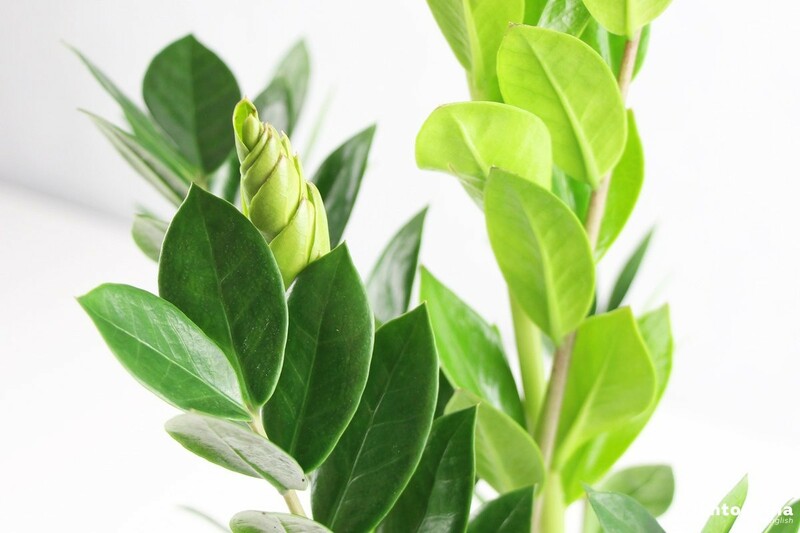 Shower the ZZ plant vigorously and place it into a transparent garbage or plastic bag, which you close airtight. Place the plant in a bright place for two or three days, then free it from the plastic wrapping. The spider mites should now be dead. 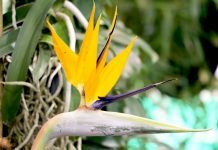 The ZZ plant is the only species of this genus. Sub-varieties are also not yet known.